Q. You have a long history of public service in this community. Can you give us a brief bio? A. I grew up in WaHI, went to school here and experienced all the challenges of hard times, and the cultural benefits of living amongst our ethnically diverse community. My love for our N Manhattan communities led me to serve as a volunteer for 15 years in leadership where I “rolled up my sleeves” to benefit it in the areas of small business support, stronger education for our kids, establish arts and cultural institutions we can be proud of, and help make N Manhattan the vibrant, safe and proud place it is today. Q. As a stalwart of the Arts Uptown, how does it feel to see the Arts flourish Uptown in the way that it has? A. I am proud of being the founding chair of NoMAA, the co-founder of the Uptown Arts Stroll, and a member of the Cultural Committee of UMEZ, which all helped to build our vibrant art scene in WaHI in order to keep our great artists working here while uplifting our community spirit with the beauty they produce everyday. Q. Why are you best person for the job? A. 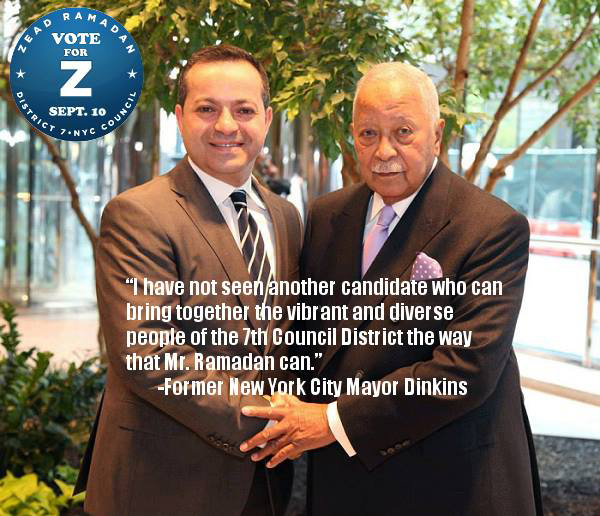 As a leader for the last 15 years who always put the interests of our community and neighbors first: I am a 2 time chair of CB12M and a 15 yr member, the founding chair of NoMAA and the Malcolm X and Dr. Betty Shabazz Memorial & Educational Center, Vice-Prez of the WaHI Chamber of Commerce, advisor to senior centers and youth groups and a strong supporter of small businesses as the backbone of our N Manhattan economy. 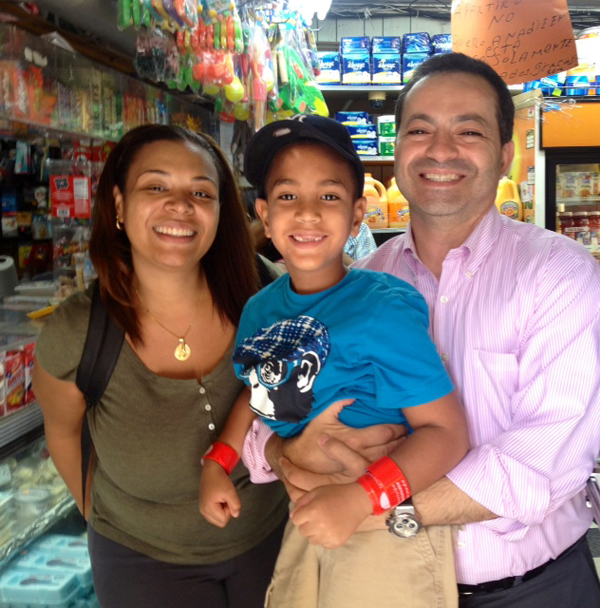 Having grown up in WaHI for 42 yr, I’m intimate with our issues and potential and have led to help address problems our families face everyday, such as job creation, small business support, affordable housing and a strong education for our children. My history proves my passion for putting the people first – and I will continue to do more than any other candidate to best serve my neighbors and the beautiful communities of district 7. Q. What are some of the biggest issues facing the people of the 7th district? A. Lack of affordable housing… our community has become more desirable to others, and landlords have been making it difficult for long time residents to stay. 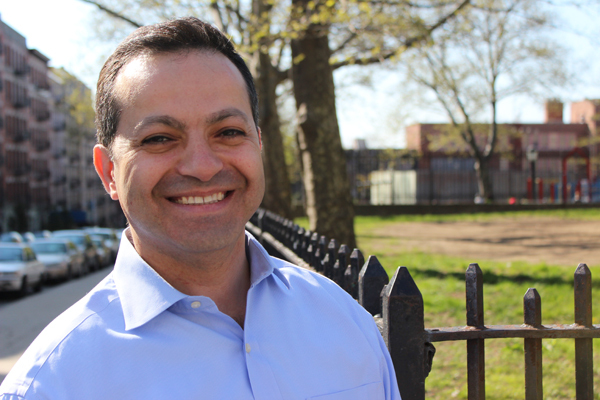 I plan to fund free legal services to defend our neighbors who are harassed by landlords. We don’t have Wall St… Our economy is “mom and pop” small businesses and they need to be protected and advocated for against City agencies taxing them to literal business death. Also, attracting businesses to those empty storefronts is vital, as that will create jobs that help us put food on the table and pay our rent. As an immigrant, I will support comprehensive immigration reform that will allow undocumented immigrants to remain here, as we have been the foundation of our great nation. Most importantly, we must strengthen our public schools in order to give our children a great chance to succeed in life. I will exhaust all resources and expense to ensure our children can get to college and become intellectually marketable and economically independent – that is the only way that we will progress, together, as a society. A. Sept 10 is Election Day and it is incredibly important that our community votes for who they believe has proven to be the most successful in serving N Manhattan. The Council member is the strongest voice for our district, so please help me to continue to strongly advocate for you and make our future brighter in district 7. Thank you and see you on Sept 10th ! !